Mr. Johnson Chukwu (B.Sc, MBA, FCA, FCTI) – GROUP MD/CEO Mr. Chukwu is the initiator/founder of Cowry Asset Management Limited. 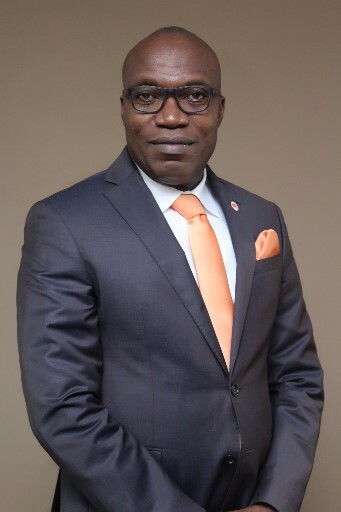 Prior to the establishment of Cowry Asset Management Limited, he has been actively involved in the Nigerian capital market and was instrumental to the establishment of one of the most vibrant capital market operator, as the pioneer General Manager/Chief Executive Officer of Guardian Express Trust Limited (now Spring Capital) - a subsidiary of Guardian Express Bank Plc (now Spring Bank Plc). Before joining Cowry Asset Management Limited on fulltime basis in October 2007, Mr. Chukwu was between February 2006 and September 2007 a Deputy General Manager and Group Executive, Operations of Spring Bank Plc. While in Spring Bank he was responsible for integrating into a single platform the diverse operations units of the six constituent banks that merged into Spring Bank. Between December 2000 and January 2006, Mr. Chukwu worked in Guardian Express Bank Plc and supervised at various times such functions as Structured/Corporate Finance, Treasury, Risk Management, Operations, Human Capital Management, Information technology and Facilities management. He was also the Bank’s pioneer Chief Financial Officer and was responsible for setting up Guardian Express Bank’s Accounting systems, processes and Management/Financial reporting systems. His banking career also includes a 3-year stint as the Deputy Financial Controller of Diamond Bank Plc (1997 – 2000) and 5 years experience with Intercontinental Bank Plc (1992 – 1997) where worked in Credit and Marketing (Trade Finance), Financial Control, Treasury Operations and Branch Operations. Mr. Chukwu is a Bachelor of Science (B.Sc.) second class upper degree holder in Accounting and a University of Lagos Scholar. He also holds an MBA from Lagos Business School (Pan African University). Among his professional qualifications are Fellowship of both the Institute of Chartered Accountants of Nigeria and Chartered Institute of Taxation. He has attended several courses both locally and internationally including IESE Business School (University of Navarra) Barcelona, Spain; Wharton Business School (University of Pennsylvania) Philadelphia, USA; etc. In addition to his professional duties Mr. Chukwu is also actively involved in the training of Nigerian professionals as a facilitator with both the Institute of Chartered Accountants of Nigeria (ICAN) and the Financial Institutions Training Center (FITC), a specialized institution established by the Central Bank of Nigeria and the Bankers’ Committee for the training of professional bankers. He is also a regular media commentator on the Capital Market, Banking industry and general economic issues.